The patented RC™ crystal can be summed up in one word, revolutionary. And that is a great thing to be in a world where revolutionary products are the cornerstone of civilization today. There are so many things that have been invented and reinvented in the past few years that it’s hard to believe some people still use old products. For example, cell phones, some people still have just regular cell phones that can only call and text message. But those same people use the internet and email every day so why not have a smart phone that does what a cell phone is supposed to but adds a little something extra? It wasn't too long ago when everyone had basic cell phones and using email and the internet was strictly a computer advantage, but soon there after the revolutionary smart phone was invented allowing users to do all of the above on one device. Everyone who has a smart phone can atest that at some point having their email or internet on their phone has saved them from what could have been a very unfortunate situation. The RC™ crystal is the smart phone of crystals and can do it all- saving companies time, stress, and not to mention money. 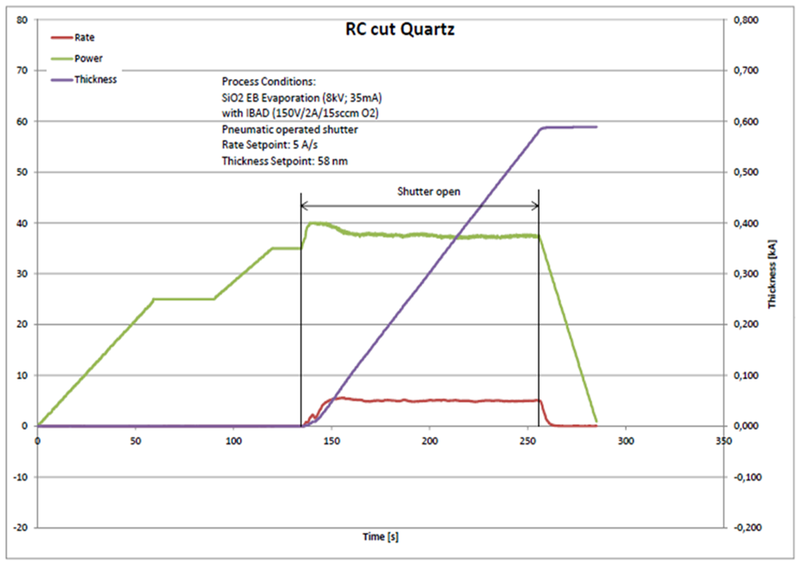 Our patented RC™ crystal does what any regular AT crystal does but it adds so much more. For starters, the RC™ is insensitive to frequency shifts and thermal shock. 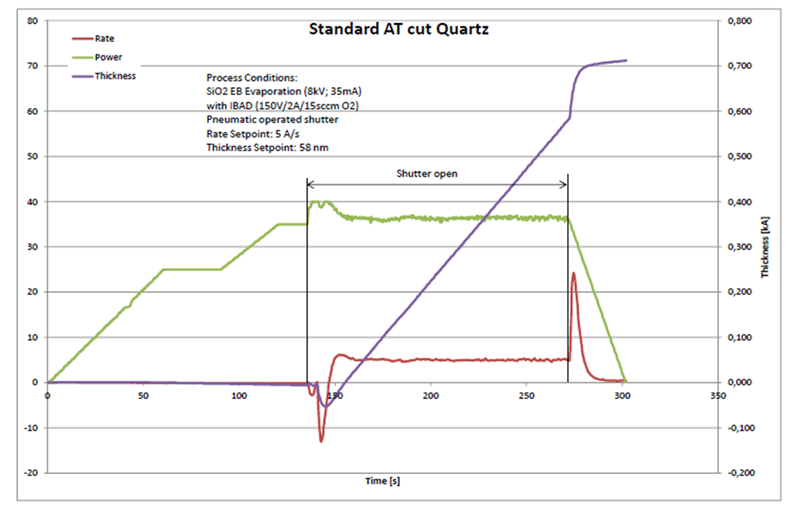 These issues can lead to serious film thickness reading errors. 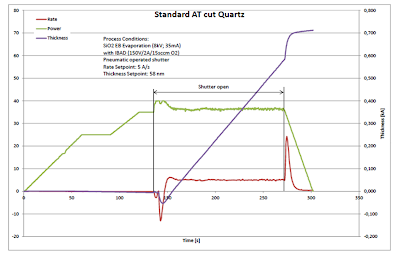 The failing of these regular AT crystals due to thermal shock or frequency shifts costs companies very valuable time and money. With uncontrollable process conditions, the RC™ crystal gives the user an added peace of mind knowing it will negate all of the factors that could cause errors. Any company can say their product is better than the leading competitor, but at Colnatec we can prove our product is better. 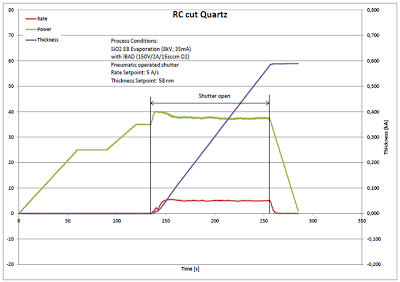 In the graphs below we have tested the RC™ crystal vs a standard AT crystal. Like smart phones, the RC™ gives an added peace of mind in knowing you have the all the basic features of an AT crystal but also have those added features that will save time, money, and many headaches along the way. As always, please contact Sales@Colnatec.com to learn more about our RC™ crystal or any of our other products. Colnatec's CEO Wendy Jameson is featured in the White House Blog for Women Entrepeneurs who are creating jobs for Americans, follow the link for an interactive timeline and the look under May 2010 to read more about Wendy. All content property of Colnatec LLC. Simple theme. Powered by Blogger.